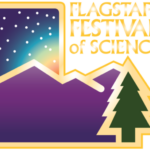 Kick off the 2018 Festival of Science with Flagstaff Festival of Science during the Science in the Park event at Wheeler Park! 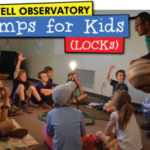 Check out the fun open space activities in addition to many awesome STEM activities with various organizations in the community. Native Americans have the lowest rate of university enrollment and graduation rates of any group in the United States—and in STEM fields, they represent only 0.5 percent of students nationwide. Another major hurdle for Native American populations is health-related. Those living on tribal lands experience a disproportionate rate of environmentally-associated health issues such as cancer, stroke, obesity and diabetes. A team of Northern Arizona University researchers, led by co-principal investigators Cathy Propper and Leslie Schulz, were recently awarded $2.6 million from the National Institutes of Health (NIH) for a new program that will address both of these pressing issues while providing Native American students with unique opportunities to work with world-class researchers. STEM Camps for kids at Coconino Community College. 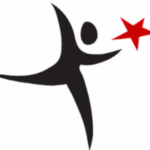 AzCASE and Cox Communications invite Arizona out-of-school time programs to apply for a 2018 Science, Technology, Engineering & Math (STEM) grant. Programs are encouraged to work with staff and youth to develop creative, new ways to incorporate STEM into out-of-school time programming.